Thousands of Scientologists and their guests ring in the New Year in South Africa’s Gauteng Province at the inauguration of the stunning new Advanced Organisation and Saint Hill Africa. The January 1 dedication opens the gates to advanced spiritual progress for parishioners across the Rainbow Nation and the continent. 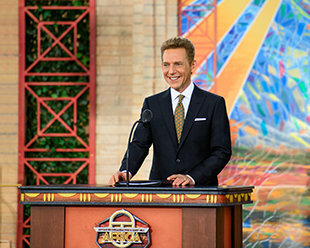 Mr. David Miscavige, Chairman of the Board Religious Technology Center, takes centre stage at the opening of this new spiritual centre, which serves a continent that is home to some 1.3 billion people. Mr. Miscavige acknowledges the crowd’s exhilaration as they demonstrate their deep appreciation for the opening of this Castle and all it represents. As Mr. Miscavige pulls the ceremonial ribbon in dedication of the new Advanced Organisation for Africa, Scientologists from across the Rainbow Nation and around the world erupt in celebration. As the ribbon flutters to the ground and balloons fly overhead, the doors officially open for this new Advanced Organisation and Saint Hill Africa. The drums of Africa reverberate and the ceremony kicks off with hundreds of choir members filling the turrets and terraces singing “Winds of Change,” an original African anthem written especially for this occasion. The soul-stirring opening number captures the rhythm and spirit of Africa. Castle Kyalami all but sways in time with the choir as they celebrate in song and dance. Sounds of celebration echo up beyond the tree tops at the dedication of a new Advanced Organisation for Africa. Fifteen years ago, South Africa was the launch point for the Church of Scientology expansion programme that has since opened 70 new Churches around the world. Those Churches, along with this new Advanced Organisation, were established under the direction and leadership of Mr. Miscavige. MR. DAVID MISCAVIGE with (left to right): Michael Tshishonga, the nation’s former Deputy Director General of Justice; the Rev. Gift Moerane, Secretary of the Council of Churches in Gauteng Province and advisor to the South African National Peace Accord; Brigadier Sthembiso Shobede-Nkosi of the South African National Police; and Apostle Matome Modiba, Executive Secretary of the National Interfaith Council of South Africa in Gauteng Province. JAN 1 A LOOK INSIDE THE CASTLEWith the flourish of a falling ribbon, crowds file into the grand new Advanced Organisation and get their first glimpse of the glorious surroundings where they will progress on their spiritual path to freedom. Taking it all in. The wrought-iron chandeliers, the soaring coffered ceilings, the Carrera marble columns—guests are wowed by the regal atmosphere of the Castle Kyalami. Scientologists mingle and make their way around the terracotta terraces that surround the Castle. Crowds attending the Grand Opening of the new Advanced Organisation explore its expansive facilities. As Castle Kyalami springs to life, parishioners flock into the Hubbard Guidance Centre for spiritual counselling. In the Academy—where Scientologists train to become spiritual counsellors—course rooms are packed with students. Trying their hand: Guests of all ages join in as local drummers entertain the crowd on a beautiful night outside of the grand Auditorium. JAN 2 THE WINDS OF CHANGE ARE BLOWINGThe message of celebration reverberates throughout the first week of 2019 with Castle Kyalami seeing a flurry of activity and festivities every day. Top Scientologists from across the continent convene to plan for future expansion across Africa. As a result, sights are firmly set on the horizon, where new Churches will arise in Port Elizabeth, Durban, Cape Town and also in Zimbabwe at Harare and Bulawayo. HANDS UP FOR AFRICA: Exhilarated after the historic Grand Opening and energised to build on the momentum of the day, Scientologists participated in an All-Africa Ideal Convention. As dusk rolls in, guests gather for an evening of rhythm and dance. Some of South Africa’s top musical talent take the stage and bring the house down with a spine-tingling performance of songs from the commemorative album Africa: The Winds of Change. Singers grace the stage performing original African songs in celebration of the Grand Opening of the new Advanced Organisation and Saint Hill Africa. The repertoire included songs written and composed by L. Ron Hubbard as a tribute to Africa’s indomitable spirit. And that spirit was on full display as the performers and the audience were moved—literally and figuratively—by the rhythm and the message of the music. JAN 3 A SALUTE TO SOUTH AFRICAN SCIENTOLOGISTSIn between events, international guests get into the beat of Africa as outdoor terraces become a stage for dancers to perform. Decked out in black-tie finery, guests arrive for another first, an International Association of Scientologists Patrons Ball held on African soil. The grand Auditorium next transforms for the IAS Patrons Ball, a black-tie gala honouring those members supporting the region’s massive humanitarian outreach. Mr. Miscavige presents an evening in tribute to the individuals who embody an abiding commitment to uplift Africa from Cairo to Cape Town. The pride is palpable as dedicated Scientologists accept their awards for expanding the Church’s humanitarian footprint. Mr. Miscavige honours over 100 IAS members for supporting the continent’s massive humanitarian outreach and acknowledges their drive and dedication in helping to make this Grand Opening celebration a success. After a sumptuous dinner, musical stars rock the room, well into the night. The evening’s festivities are driven by world-renowned rapper and beatboxer Doug E. Fresh. Caribbean sensation Michele Henderson’s soulful performance hits a high note with the joyful audience. The festivities roll on as parishioners from the trio of Churches in the Gauteng Province fill the Castle’s Auditorium for a presentation of the International New Year’s Celebration. To the surprise and delight of the crowd, Mr. Miscavige takes the Auditorium stage, treating the audience to an informal recap of the week’s events. Attendees enjoy the international celebration highlighting 12 milestone months of history-making accomplishments for the Scientology religion. A favourite gathering place proves to be the Acacia’s braai—a distinct South African culinary tradition mixing barbeque with social celebration—where crowds gather each day of this celebratory first week. JAN 5 STANDING UP FOR AFRICAThe celebration continues as guests arrive for daily activities, entertainment and special events. Traditional gumboot dancers join in the celebration at Castle Kyalami. The million and one details of the Church’s social programmes are the focus of the Africa Humanitarian Crusade Seminar, Saturday afternoon, January 5. Attendees are treated to an in-depth briefing on everything that goes into implementing some of the world’s most far-reaching social salvage programmes and they are ready to get to work. JAN 6 A SUNDAY SERVICE UNITESVisitors wind their way down the Kyalami hill to the Acacia gazebo for Sunday brunch with friends and family. Kyalami is famous for its equestrian legacy and attendees of all ages experienced it firsthand. The weeklong celebration culminates with the Church’s very first Sunday Service. Befitting the serene occasion and in living testament to L. Ron Hubbard’s vision for Africa, the ceremony is full of jubilation, with Scientologists joined by community leaders representing thousands of Gauteng residents. Situated between South Africa’s two largest cities—Pretoria and Johannesburg—the new Advanced Organisation and Saint Hill for Africa in Castle Kyalami stands on the region’s highest peak, offering 360-degree views of the African Highveld. With an atmosphere exuding warmth and elegance, the entrance to Castle Kyalami greets visitors with its own inimitable style and grace. RECEPTION Kyalami means “my home” in Zulu. Fittingly, this Reception area, with its Carrara marble and African red granite fountain, extends a warm welcome to all who cross the threshold. DIANETICS & SCIENTOLOGY BOOKSTORE The Bookstore makes available L. Ron Hubbard’s works on Dianetics and Scientology. In total, Mr. Hubbard’s legacy spans tens of millions of published words in dozens of books and thousands of recorded lectures. Materials are available in 50 languages—most notably Afrikaans and Swahili. The east wing of the Advanced Organisation and Saint Hill Africa is dedicated to the training and delivery of Scientology spiritual technology. This stunning new facility makes higher levels of spiritual advancement available on African soil for the first time in history. PURIFICATION CENTRE L. Ron Hubbard developed the Purification Programme to free individuals from the mental and spiritual damage caused by drugs and toxins, using a regimen of exercise, sauna and nutrition—all of which are provided for in the Purification Centre. The Purification Centre presents the ideal setting for this programme and includes a detailed mosaic that depicts the Castle Kyalami bathed by a fiery sunset. SAINT HILL TRAINING Africa’s new ideal training facilities comprise multiple course rooms devoted to different aspects of technical training. In full, they accommodate hundreds of students at a time. Scientologists acquire a full mastery of auditing (spiritual counselling) skills in a course room dedicated to Scientology training. Twelve turrets atop the highest point—with its striking Arthurian-style architecture, Castle Kyalami stands as a one-of-a-kind architectural accomplishment that is visible for miles around. SOLO TECHNICAL DIVISION At the heart of the Advanced Organisation is an entire wing devoted to Advanced Courses, where Scientologists reach the upper levels of spiritual awareness. The journey to the upper spans of the Scientology Bridge begins here, in the Solo Auditor course room. In the Advanced Level course rooms, Scientologists will attain the upper levels of the Scientology Bridge to Total Freedom. HUBBARD GUIDANCE CENTRE The Hubbard Guidance Centre provides for the ever-growing number of Scientologists receiving services through to the State of Clear—and the upper levels of the Scientology Bridge. Each of the Hubbard Guidance Centre’s auditing rooms provide the ideal, distraction-free environment necessary to achieve spiritual enlightenment. An entire course room is devoted to study of the religion’s fundamentals as Scientologists advance toward greater spiritual awareness. THE CRANE CAFÉ The poolside Crane Café, taking its name from South Africa’s indigenous blue crane, offers a perfect gathering place for parishioners on breaks from training and processing. Beyond serving as a spiritual home for Scientologists, the Advanced Organisation and Saint Hill for Africa is where parishioners join in the Church’s many humanitarian initiatives and outreach programmes, actively dedicating themselves to building a better world. THE AUDITORIUM The Auditorium is an exceptional venue for weekly Scientology graduations as well as hosting a year-round calendar of Church and community events. The Public Information Center offers over 500 films, providing a complete introduction to every aspect of Dianetics and Scientology. It includes the beliefs and practices of the religion, a biographical presentation on the life and legacy of Founder L. Ron Hubbard, as well as the many humanitarian initiatives and community outreach programs the Church supports. State-of-the-art technology, superior acoustics and custom interior craftsmanship come together in the Auditorium—a world-class venue worthy of a world-class castle. Paving the path for a better Africa, this hall welcomes like-minded individuals and groups from across the region working together to build a better world. As the coordination hub of Church of Scientology-sponsored humanitarian programmes across Africa, the Auditorium serves as the perfect venue for seminars and conferences. THE PROTEA RESTAURANT The restaurant, named for South Africa’s national flower, features a varied menu of local favourites and international fare. The Protea Restaurant’s outside terrace provides spectacular views of the surrounding bush and is the perfect spot to experience stunning South African sunsets. ACACIA GAZEBO & BRAAI Set amidst the Castle grounds, the beauty of African nature is highlighted in the Acacia gazebo. With its unique thatched roof, the grand gazebo serves as a venue for everything from tribal celebrations to traditional wedding ceremonies. The braai is a South African culinary tradition combining barbecue and social celebration. CASTLE KYALAMI LOUNGE The Castle Kyalami Lounge combines the grandeur of a royal residence with traditional African design, woven baskets, tribal-inspired woodcarvings and a colour scheme evoking fire-red South African sunsets. ACCOMMODATIONS As a religious retreat, the Castle’s accommodations can only be described as “storybook.” Its rooms are replete with classic Gothic doorways and Camelot balconies. The breathtaking 360-degree view from this rooftop observation tower allows visitors to take in views of the Johannesburg skyline to the south and the foothills of the Magaliesberg mountains and Pretoria to the north. THE OFFICE OF L. RON HUBBARD As is traditional in all Churches of Scientology, the Office of L. Ron Hubbard stands in permanent honour of the religion’s Founder. It symbolises this Ideal Advanced Organisation and Saint Hill’s commitment to forever uphold his legacy. CONTINENTAL LIAISON OFFICE AFRICA Along with the grand opening of the Advanced Organisation, the Church also inaugurated a new Continental Liaison Office for the ecclesiastical management of Scientology across the region. From here, the Church guides the activities of every sector of the religion across the continent, including Scientology Churches, Missions and affiliated groups, as well as the implementation and expansion of Scientology humanitarian initiatives and social betterment programmes. This new recording studio is fully equipped for all audiovisual production to facilitate the growing demand for Scientology across Africa. A state-of-the-art video editing facility is set up to provide for production in multiple languages, making Dianetics and Scientology available across the diverse nations of Africa. The facility further serves as a centre for interfaith groups to unite in the name of continent-wide social betterment. The new Continental Liaison Office is located right on the famed Kyalami Racetrack, providing a front row seat to high-speed races right from the balcony terrace. CHURCH OF SCIENTOLOGY JOHANNESBURG The Church of Scientology has deep roots in South Africa, establishing its first Church in Johannesburg in 1957. In 2003, Johannesburg became the world’s first Ideal Organisation. CHURCH OF SCIENTOLOGY PRETORIA Situated in the capital city, at the doorstep of the official seat of the national government, the Union Buildings (top, centre), is the Church of Scientology Pretoria. The Church, consisting of five heritage homes, opened in 2013. L. RON HUBBARD’S HOME AT LINKSFIELD RIDGE In 1960, L. Ron Hubbard lived in this home on Linksfield Ridge. Today the landmark stands exactly as it did when Mr. Hubbard was in residence. In a stunning Grand Opening ceremony and a week filled with celebration, the new Advanced Organisation and Saint Hill Africa brings continental Scientology headquarters and centre of social betterment to the Rainbow Nation and all of Africa. Atop a plateau that Zulu tribal people once called “The Place in Heaven,” the distant beat of djembe drums became a celebratory symphony of rhythm that set a week’s worth of glorious festivities into motion. More than 4,000 guests from all over Africa and every corner of the globe had gathered at the magnificently restored Castle Kyalami for an historic Grand Opening ceremony. It was a celebration filled with pride and passion, a celebration of continental hope uplifted, a celebration of spiritual freedom and yet another milestone in the history of the Church of Scientology—a new Advanced Organisation and Saint Hill for Africa. For aeons, this sacred hilltop at Midrand has overlooked the vast and rich lands of South Africa, a vision spanning endless miles in all directions. Now it offers a different sort of vision, one extending even farther than the eye can see, into a new spiritual realm. More than 4,000 Scientologists from across Africa and the world greet Mr. David Miscavige, Chairman of the Board Religious Technology Center, at the inauguration of this new spiritual home. On New Year’s Day, with breathtaking views from the rise ahead and the striking form of Castle Kyalami behind, Mr. David Miscavige, ecclesiastical leader of the Scientology religion, standing before the crowd of thousands gathered, spoke to the monumental nature of this unprecedented grand opening. At the centre of that heavenly hilltop, on 22 acres of land, the 87,000-square-foot Castle Kyalami stands in testament to the religion’s commitment to helping create an Africa that can fulfil its unlimited potential. The Castle’s presence reflects the magical aura of the South African landscape as it looks toward the nation’s twin giants of Gauteng—Johannesburg to the south and Pretoria to the north. The panoramic views quickly captivate visitors, and the Castle’s 12 crenellated turrets and eight-inch-thick walls give it a unique ambience. The elegant interior augmented by Italian marble floors, mined from the same quarries used by Michelangelo, lent its own special atmosphere to the spectacular grand opening. The inauguration of the Advanced Organisation embodies the realisation of a dream first expressed in 1966 by L. Ron Hubbard, Founder of the Scientology religion. He sought to bring the messages of Scientology on human rights and social betterment to the land of apartheid—where, at the time, and for three decades to come, freedom was only a dream for tens of millions of Africans. During the depths of the brutal apartheid regime, Mr. Hubbard advocated for and wrote a new Bill of Rights and constitution for South Africa under a “one man, one vote” proposal designed exclusively to emancipate every South African. In dedication to that vision of freedom, Scientology has opened numerous Churches and Missions across the continent over the past 50 years. Now, with the establishment of Castle Kyalami, the number of spiritual and humanitarian opportunities has grown exponentially. Here Scientologists throughout the continent will find Scientology services allowing parishioners to advance their spiritual journey to the upper reaches of the Bridge to Total Freedom and right on African soil. The expansive facility includes a Hubbard Guidance Centre spanning an entire wing for auditing (spiritual counselling), an Academy for the training of auditors to serve in Scientology organisations across Africa, as well as an entire division for the guidance of parishioners at the Advanced Levels of the Bridge. Beyond the spiritual work of the Church within the new Advanced Organisation, the day also saw the simultaneous dedication of a Continental Liaison Office for ecclesiastical management of Scientology across the region. This is a generation point providing a vital link between the Church and religious, civic and social organisations across the African continent. From here, the Church will coordinate social and humanitarian outreach programmes already reaching hundreds of millions in the name of a drug-free, crime-free, moral and just world. In fact, in combination with Castle Kyalami, the liaison office represents a dynamic hub of humanitarian aid that, in addition to broad-scale initiatives, will see to the hosting of seminars and events focused on coalescing community and interfaith forces to address social ills that are so often ignored. The Grand Opening ceremony itself dug into the Church’s deep well of social partnerships in Southern Africa. Dignitaries welcoming the crowd and honouring the Church included Brigadier Sthembiso Shobede-Nkosi of the South African National Police; Apostle Matome Modiba, Executive Secretary of the National Interfaith Council of South Africa in Gauteng Province; Michael Tshishonga, the nation’s former Deputy Director General of Justice; and the Rev. Gift Moerane, Secretary of the Council of Churches in Gauteng and advisor to the South African National Peace Accord. Brigadier Sthembiso Shobede-Nkosi welcomed the Church of Scientology to its new home on behalf of the South African police force. She further spoke of Kyalami as a bastion in the nation’s fight against drugs. Apostle Matome Modiba of the National Interfaith Council of South Africa spoke about the power of knowledge to unlock potential. He said he first became aware of the knowledge of Scientology through the Church’s interaction with the Interfaith Council. South Africa’s former Deputy Director General of Justice, Michael Tshishonga, told the assembled crowd that Mr. Hubbard’s courage on behalf of South Africa will never be forgotten. The Rev. Gift Moerane, whose work as an advisor in the South African National Peace Accord first put him in touch with the humanitarian work of the Scientology religion, said he considers L. Ron Hubbard’s writings as a guide to better lives throughout Africa. “If this is where human beings first walked upright, well this is where you can now show them how to fly. While beyond that—as if there is a beyond—it’s said that the place one yearns for is the place one is meant to be. Well, if it be Africa, then so it is Africa. This was a Grand Opening so grand it couldn’t be contained to one day. The Grand Opening of the Advanced Organisation was the crowning achievement of an era of global expansion and the kickoff to a week of jubilant celebration. Day after day, music was in the air as African singers, drummers and dancers entertained the global gathering of Scientologists and local guests, on outdoor terraces throughout the 22-acre estate. International guests were given a taste of South African culture and cuisine with an on-site African marketplace featuring handcrafted jewellery and crafts and traditional braais (South African BBQ). And the week offered a series of special events, which drew tribal chiefs, humanitarian champions, as well as local and international Scientologists. Exhilarated after the historic Grand Opening and energised to build on the momentum of the day, Scientologists from across Africa gathered to plan for future expansion throughout the continent, with new Churches on the horizon in Port Elizabeth, Durban, Cape Town and also in Zimbabwe, at Harare and Bulawayo. That same evening, more than 1,000 guests—including local dignitaries and tribal representatives—packed the state-of-the-art grand Auditorium and spilled out to overflow spaces for a spectacular concert. Some of South Africa’s top musical talent took the stage and brought the house down with a spine-tingling performance of songs from the commemorative album Africa: The Winds of Change. The repertoire included songs written and composed by L. Ron Hubbard as a tribute to Africa’s indomitable spirit. And that spirit was on full display as the performers and the audience were moved—literally and figuratively—by the rhythm and the message of the music. South African stalwarts of the International Association of Scientologists (IAS) took centre stage for the first-ever African IAS Patrons Ball. The room was transformed to golden glory with shimmering backdrops and protea-filled floral arrangements for the black-tie gala. Mr. Miscavige honoured over 100 IAS members for supporting the continent’s massive humanitarian outreach, and acknowledged their drive and dedication in helping to make this Grand Opening celebration a success. The pride was palpable as these dedicated Scientologists accepted their awards. After a sumptuous dinner, musical stars rocked the room. Caribbean sensation Michele Henderson and Harlem’s hip-hop legend Doug E. Fresh set the beat for the rest of the evening as the Patrons got down on the dance floor and partied the night away. The festivities rolled on as parishioners from the trio of Churches in the Gauteng Province filled the Castle’s Auditorium for a presentation of the International New Year’s Celebration. To the surprise and delight of the crowd, Mr. Miscavige took the Auditorium stage, treating the audience to an informal recap of the week’s events. They were on their feet cheering wildly, knowing that this Grand Opening has not only opened the doors to spiritual freedom for Scientologists, but promises hope and help for all of Africa. The Africa Humanitarian Crusade Seminar, attended by hundreds, spotlighted the Church’s community outreach programmes. Attendees were enlightened and inspired by a series of in-depth briefings outlining the nuts and bolts of some of the world’s most far-reaching social salvage initiatives. The collective focus shined on Africa, putting into place plans to address the continent’s many social problems, offering hope to help reach its unlimited potential. The weeklong celebration culminated with the Church’s very first Sunday Service, which got off to a joyous start with the sound of an a cappella choir from Soweto. The moving service, which included an ordination ceremony, was a testament to L. Ron Hubbard’s vision for the continent, bringing together African royalty, community leaders, local Gauteng residents and the congregation of Scientologists. It was a fitting close to an historic week, filled with the spirit of hope and the promise of a brighter future. The dedication of the Advanced Organisation and Saint Hill for Africa underscores what is a massive period of epic expansion for the religion in just the past 15 years. Under Mr. Miscavige’s leadership, the Church of Scientology has opened the doors of 70 new Churches of Scientology across six continents. Recent openings have taken place in Salt Lake City, Utah; Silicon Valley, California; Perth, Western Australia; Orlando, Florida; Stuttgart, Germany; and Detroit, Michigan. More Church openings are planned in the coming year in global cities of North America and Europe.